The Singing News Fan Awards are the Southern Gospel industry’s PREMIERE fan-voted awards, with winners decided by the readers of the Singing News Magazine. 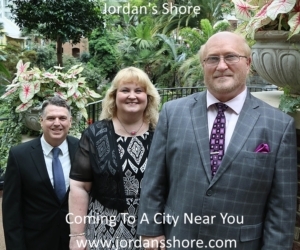 This year’s show is set to be another amazing event, taking place at the National Quartet Convention in Pigeon Forge, TN later this year. We’re happy to announce that the Top Five nominations in all categories is now available below! Subscribers to Singing News Magazine have spoken in the second of three rounds of voting, and voting for the third round will begin soon. If you wish to vote in the third round, but don’t already have a subscription to Singing News Magazine don’t forget to SUBSCRIBE TODAY to be eligible to vote! * Due to a tie in votes, there is a Top 11 in the Song category.